The 'LooseWomen' panelist and the 37-year-old television presenter have confirmed they are expecting a baby in a sweet post on social media. Joe wrote on Twitter: "Have been driving myself mad thinking that she's bored senseless of me and can't stand to be awake for longer than 10 minutes of my company ... So you can imagine my delight to find out that she still loves me and my company very much she's just been growing a baby." 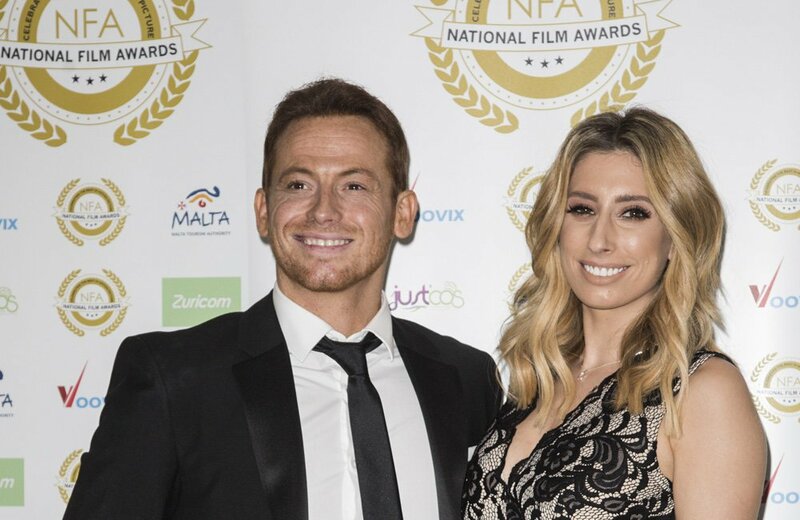 Whilst Stacey shared his post and added the message: "Words aren't working for me right now so ditto @realjoeswash," alongside a yellow heart emoji. Joe is overjoyed by the news and he is "really happy" to be starting a family with Stacey. He said: "I didn't know I had it in me. I'm really happy, we're excited. I know [when she's due] but I can't say." And asked if his girlfriend was suffering from dreaded morning sickness, he added whilst making an appearance on 'Good Morning Britain': "She's all good, she's excited." Stacey and Joe have been dating since 2016 but she recently insisted she "doesn't need a marriage certificate" to prove her love for the former 'EastEnders' actor. She shared: "In my opinion, if you're religious or you have real ties to marriage and it really means something to you, I get that, and it takes you to another level spiritually or however way you look at it, but I think for me andJoefor example, I honestly wouldn't see any difference in our love for each other whether we have a marriage certificate or not. I'd love to have a ceremony where we [Stacey and Joe] celebrate our love, I'm not extremely excited or really feel the need to have a marriage certificate and that's what marriage is to me. See, I don't think that marriage makes us a unit because you can get a divorce. To me a unit is a family, its love which is present with or without a piece of paper in my opinion." Stacey already has sons Zachary, 10, and Leighton, six, whilst Joe is a proud father to Harry, 11, with all three kids from the pair's previous relationships.